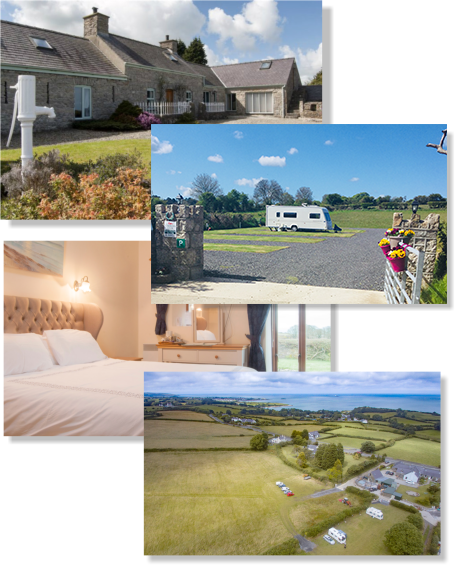 Welcome To Rhosboeth Bed and Breakfast and CL Caravan Site. 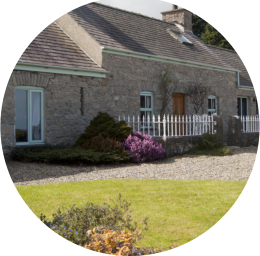 Rhosboeth B&B provides all modern amenities and comforts whilst retaining the character and charm of this 18th century listed building. The sandy Benllech beach is just a few minutes walk away. Welcome to Rhosboeth at Benllech a unique licensed 4 star Bed and Breakfast establishment conveniently located on the A5025, close to the Anglesey Coastal Path on the outskirts of the popular seaside village. Rhosboeth, was built in the 1700s and was once a busy self- sufficient small farm. Indeed, it was the first property in Wales to be listed by CADW (Grade II listed). By now, the old byres have been transformed to comfortable en suite bedrooms. The stable is now a hall way, the barn a large visitors’ lounge while the cart house is the piano room. The pig sties have been left untouched and are now redundant! We have retained so many of the original features, and as a result we have won a national award for our sensitive restoration work. We also have a CL caravan site with both hardstanding and grass pitches, electricity, water and a grey waste outlet on each pitch, a single shower block and separate toilet. It is located in a sheltered spot at back of property with views of Snowdonia. Come and enjoy this lovely part of Wales – a warm Welsh welcome awaits you!!! 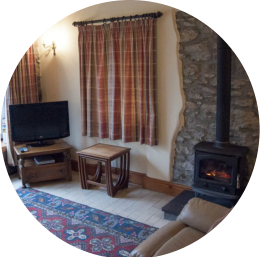 Rhosboeth, a traditional 18 centruy cottage with its adjoining byres, barn and stable have been sensitively restored to offer beautiful accommodation and tea rooms. We have retained the character of the cottage in all our rooms. Original features include an ingle nook fireplace, pitch pine and rugged oak beams, stone arches and walls and even a chain once used to tie the milking cow. 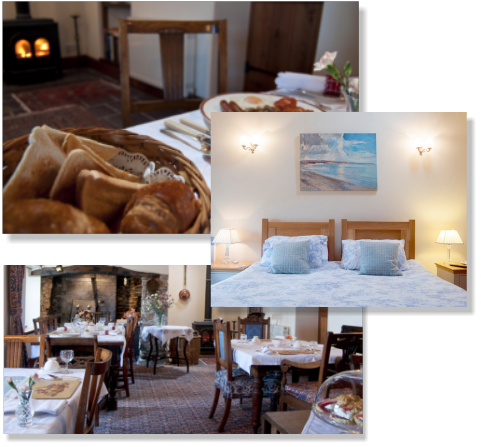 We have combined modern and traditional furniture with facilities to ensure the guests’ comfort and create a relaxed farmhouse atmosphere. Most rooms command sea views and you can simply watch the boats go by! From the extensive garden you can enjoy the panoramic views of the Snowdonia mountain range. Outside there is ample off-road parking and ten acres of land for you to roam and take in the breath-taking views.